It takes a millisecond, my heart beats harder than ever. The adrenaline rushes through my body and I am - for the first time in a very long time - afraid! The shooting feels like it’s just next to us, on the other side of the wall, but it’s actually a bit further away. Kalashnikovs and heavier artillery echoes in the air. We lie on the ground and then everybody hurries to the safe room, which is just a few metres away. We are now assembled and the noise decreases as we begin to feel safer. The room is made of concrete with steel-plated walls and ceilings. It is now quiet outside. In the room everyone is calm: some chit chat and others do not. Our deputy country director makes security checks and after an hour we can leave the room. 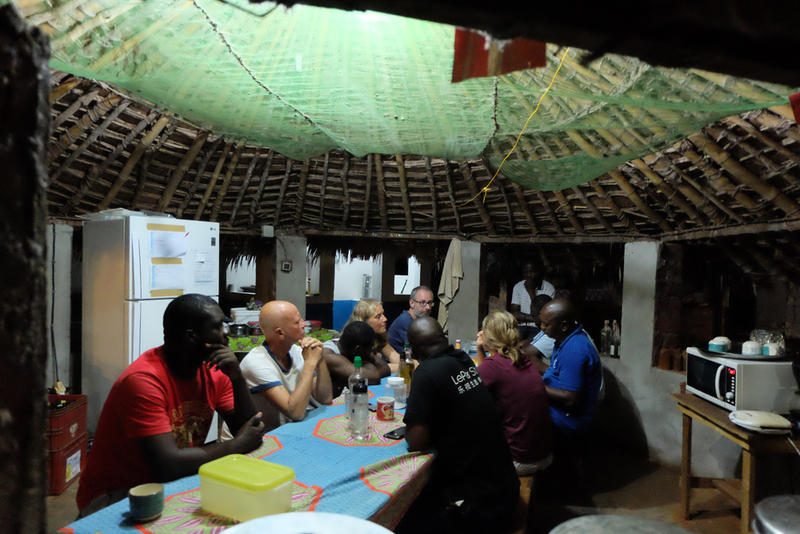 It´s now 7pm, and everyone is gathering for the daily meeting and dinner. The evening then ends as usual, on the base. In Bangassou, the situation is very tense between the different groups, UN forces are here to keep the population safe. MSF (Doctors Without Borders) are running the province hospital which has 115 beds. This spring, before things escalated, you could walk freely in the city and even ride a bike to the hospital. Now we only move by car and our working hours are very limited. I am here to support the medical team that consists of mostly local staff who take care of the hospital during the day, evening and night. They are all very competent, calm and professional. Our international staff team, who I share the base with, has been reduced from 24 to 11 people, all of different nationalities.